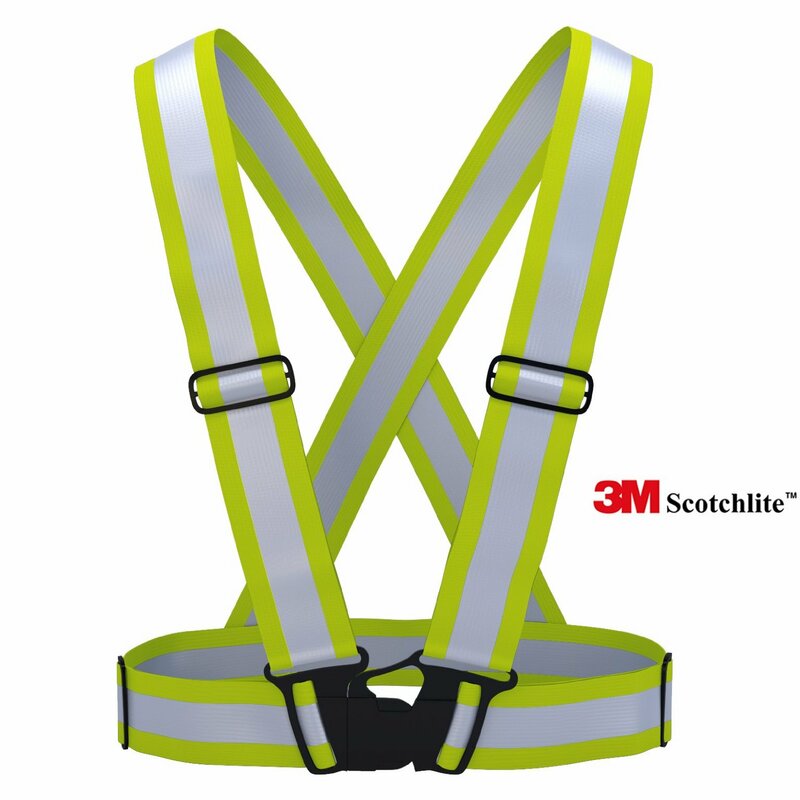 - Zivalo's reflective vests consist of a high quality neon green fabric material with velcro and 3M Scotchlite reflective tape. You will never have to worry again about batteries, like with an LED product. The front buckle allows for an easy and fast release. The buckles on the elastic straps enable easy adjustment. Our lightweight vests allow a comfortable fit over sports gear and clothing. The vest is easily adjustable and fits most adults. Built to last with durable materials and strong stitching: Even under harsh conditions, our products will not let you down. - Our vest is unisex and can be worn by men and women as well as two different people with different body type. 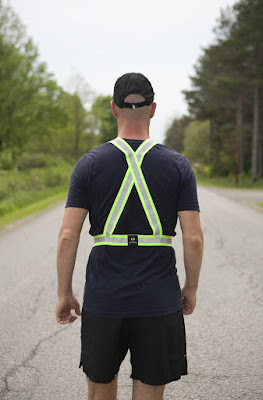 The Waistband can be expanded from 25 inches to 39 inches and the shoulder straps expand from 15 to 23 inches, allowing most men and women of any size and shape to comfortably enjoy the reflective safety vest. You can choose a snug fit which ensures the vest will not move but allows your arms and shoulders a complete range of motion. HASSLE-FREE MONEY-BACK GUARANTEE - If for any reason you are not 100% satisfied, within 30 days, please return your reflective vest for a no-questions asked, full refund. 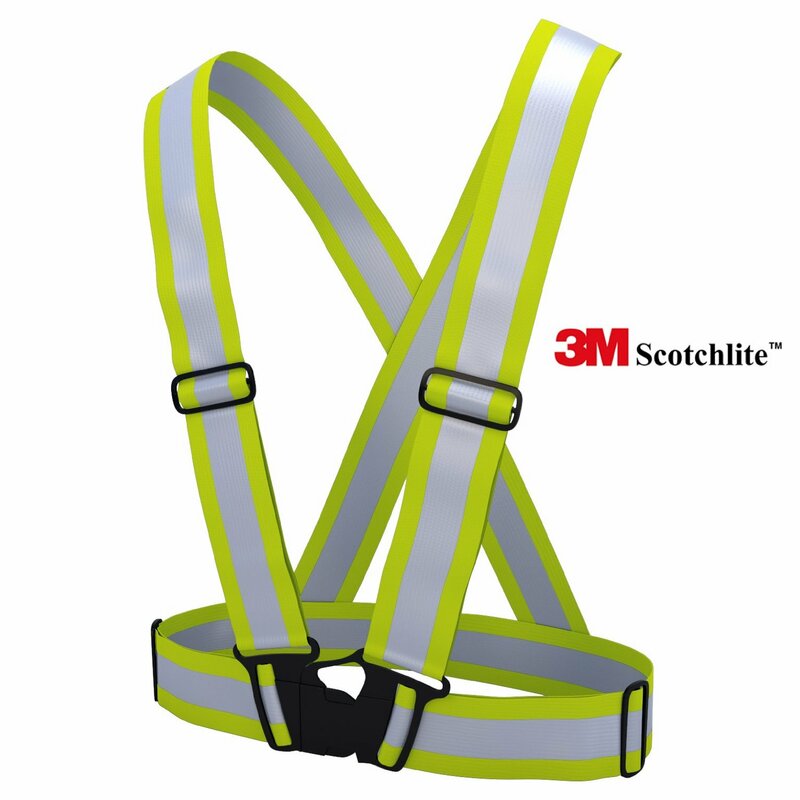 BE SEEN AND SAFE - Zivalo'sTM reflective material incorporates 3M Scotchlite's patented retro reflection technology and offers higher visibility than other reflective films. Our reflective film use spheres to collect light and bounces it back to the source, and the source only. When a car's headlights illuminate our reflective vests, the 3M reflective film "lights up" and sends the reflection of the light right back to the driver. 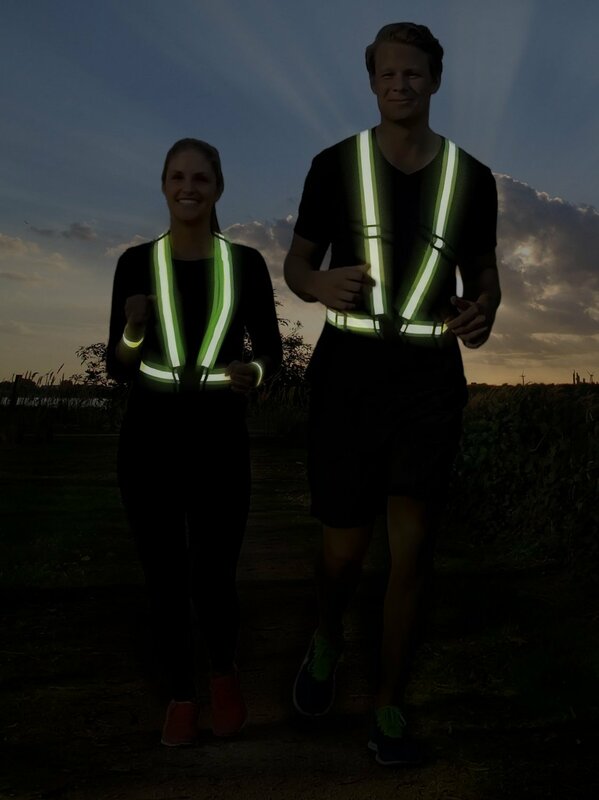 Zivalo's reflective vests provide highest visibility for running, cycling, walking and hiking during all weather conditions, day or night. 360° full body coverage ensures visibility in all viewing directions. I was happy to get to try this 3M Scotchlite Reflective Vest. I think this is a a great idea for anyone who walks, runs or bikes in the evenings or in busy areas. This vest is very well made and I like that the buckle is in the front for easy access and release. The shoulder straps are adjustable as well, so I can make them as tight or loose as I wish. I really like how this is made and how well it lights up with the headlights of vehicles. It is nice not to have to rely on a battery operated device. I feel much more at ease and safer on the roadway, knowing that I am visible to vehicles in every direction. 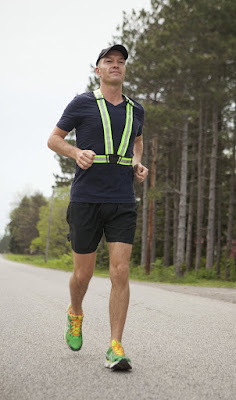 I like that this vest can be shared by different size runners and it is easy to adjust the fit for individual use. I also like that this vest can be worn if it starts to rain and it still works very well. I recommend this reflective vest to any athlete, runner or cyclist who trains outdoors.